The black VT500 Lavalier Microphone from Voice Technologies is designed for vocal and speech reproduction in broadcast, theatrical, and sound-reinforcement applications. It features a flat frequency response of 40 Hz to 20 kHz and has an omnidirectional pickup pattern. Noise caused by radio frequency interference is minimized with an internal RF filter. Speech clarity is enhanced with a slight rise in frequency response at the upper frequency range, while the omnidirectional polar pattern picks up sound from all around the mic for better placement options. The flexible cable suppresses handling and clothing noise. 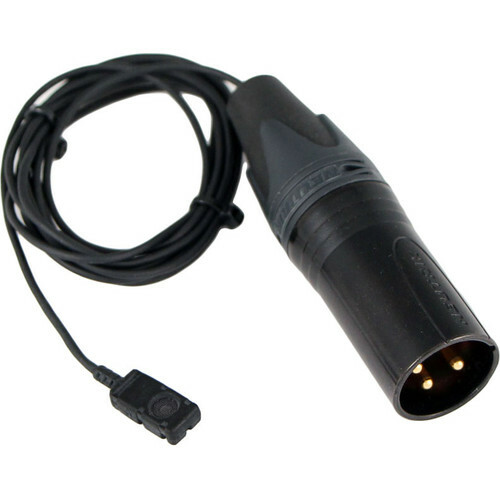 This rugged and shockproof microphone is terminated with a 3-pin XLR male connector that allows you to connect it to preamps, amplifiers, mixers, and other equipment with +48V Phantom input.